From Dusk Till Dawn – Season 1 (2016) – What's New on Netflix Canada Today! A Texas Ranger is in hot pursuit of the infamous Gecko brothers and their hostages. They all end up trapped in a desert bar secretly run by vampires and discover a vampire conspiracy. 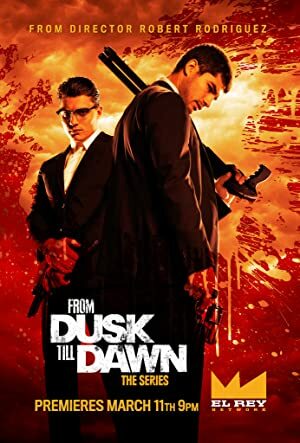 In season three of From Dusk Till Dawn: The Series, the Gecko brothers find themselves in the vortex of the culebra world forcing them to assemble an unlikely crew to take on the forces of Hell, and the new set of enemies determined to take them down.